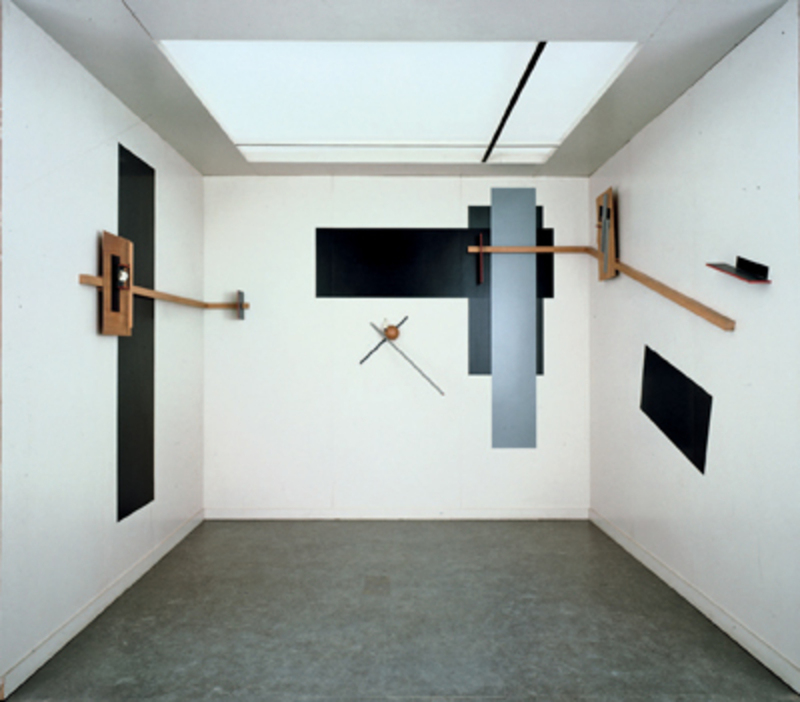 El Lissitzky, Prounenraum (Proun Room), 1923/1971, wood and paint. Installation view, Van Abbemuseum, Eindhoven, the Netherlands, 2007. Photo: Peter Cox. “FORMS OF RESISTANCE: Artists and the Desire for Social Change from 1871 to the Present” is not an exhibition one is likely to see in a major venue in the United States, given how politically restrained and financially driven our big museums are today. Organized by Will Bradley, Phillip van den Bossche, and Charles Esche for the Van Abbemuseum in Eindhoven (where Esche is director), “Forms of Resistance” is as much seminar as it is show, one that explores, selectively and polemically, the relations between modernist art and leftist politics in Europe and America as punctuatedput into crisis, the curators would sayby five events: the Paris Commune in 1871, the Russian Revolution in 1917, the Popular Front in the early 1930s, the May Revolts in 1968, and the fall of the Wall in 1989.